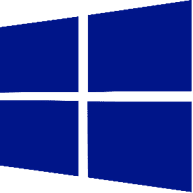 In July 2010, Microsoft transitioned from providing mainstream support for Windows Server 2003 to releasing critical patches only. 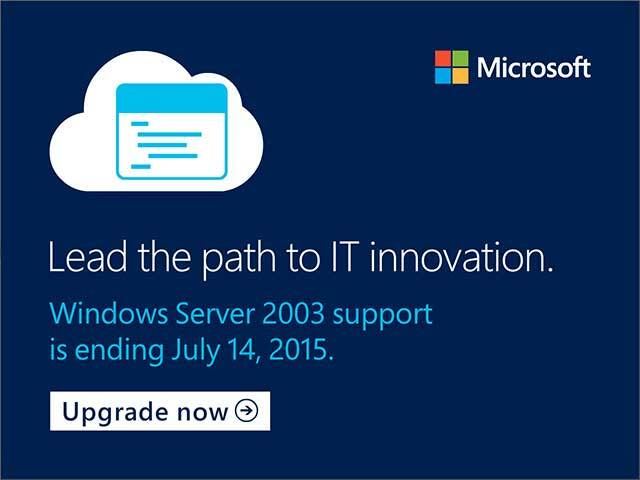 July 14, 2015 marks another transition, this time the end of Microsoft support for Windows Server 2003/R2. Time to Act IT Managers! 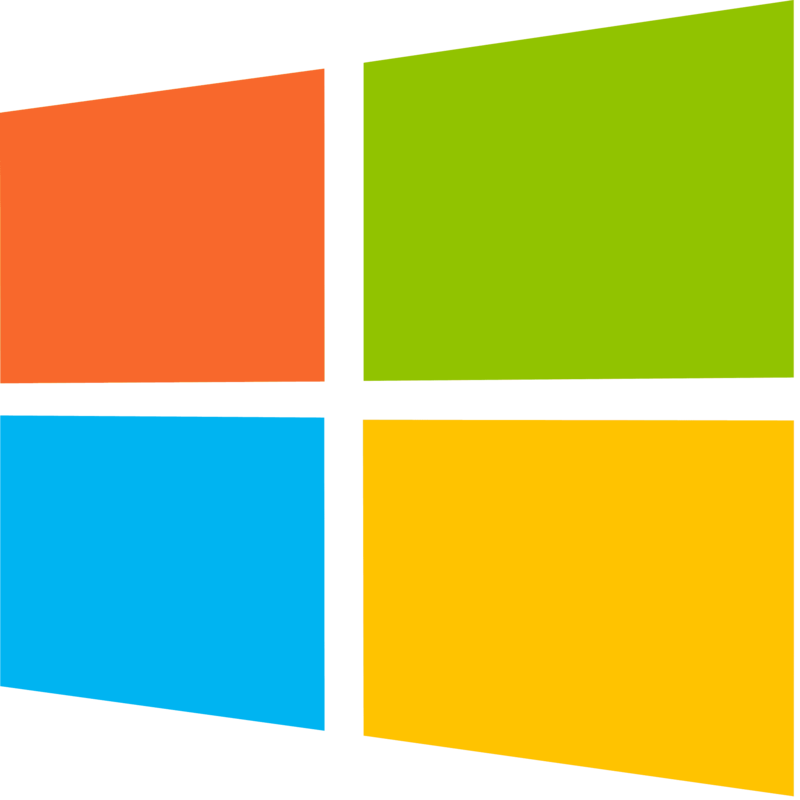 In July 2010, Microsoft transitioned from providing mainstream support for Windows Server 2003 to releasing critical patches only. 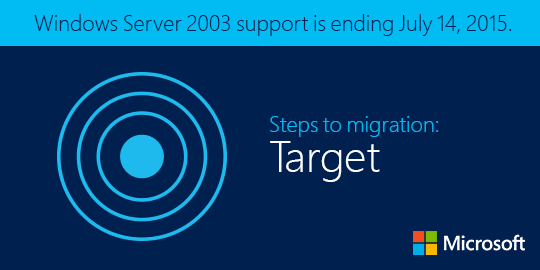 July 14, 2015 marks another transition, this time the end of Microsoft support for Windows Server 2003/R2. Windows Server has seen many advancements in the past 10 years, and today the current version is Windows Server 2012 R2. With only few month left, now is the time to understand that the end of support and the end of life of Windows Server 2003 means that your business needs to ensure that it has a plan to migrate the applications and workloads currently relying on Windows Server 2003 onto Windows Server 2012 R2 or Microsoft Azure. 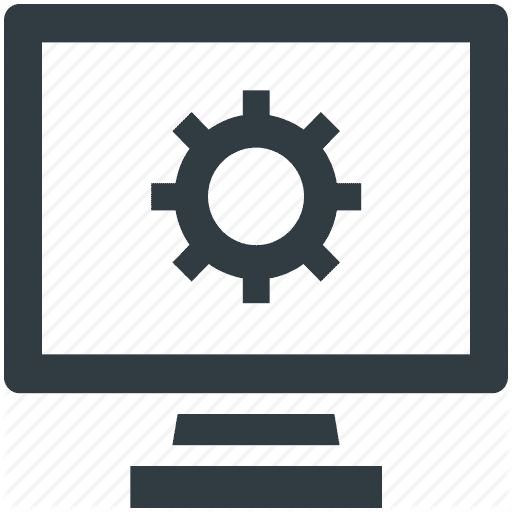 With an understanding of what is still running on Widows Server 2003, what needs to migrate when, and where to migrate to, you can make a plan and begin the migration process. 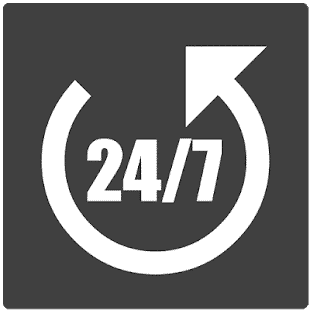 We want to ensure that with only months left before this products End of Support, that you have already begun your planning to migrate your applications off of Windows Server 2003. 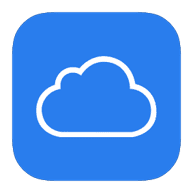 We want to also ensure that you are aware that your migration destination does not only include Windows Server 2012 R2, but also Microsoft Azure as well as Office 365 for SharePoint and Exchange. 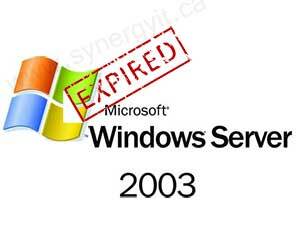 What happens when Windows Server 2003 support comes to and end? New vulnerabilities discovered in Windows Server 2003 after its “end of life” will not be addressed by new security updates from Microsoft. What is the risk? One risk is that attackers will have the advantage, because attackers will likely have more information about vulnerabilities in Windows Server 2003, placing the applications running on Windows Server 2003 in a precarious position. How Synergy IT Can help you? 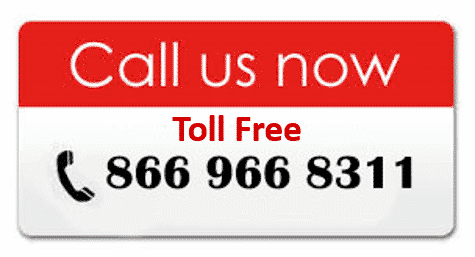 Synergy IT is Microsoft Partner and well versed with Migrations services from 2003 to Windows server 2012. Whether you are a small business or large Enterprise with hundreds of users, we can seamlessly migrate your server with minimum disruption. Microsoft and Synergy IT are here to support your Datacenter Transformation. 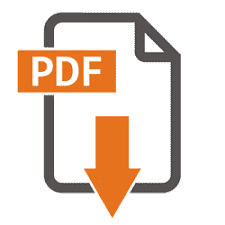 You can visit our site on Microsoft.com to get more information about this End of Support. You can also request to compete an Immersion Session so that you can see and interact first hand with the technologies that you will be migrating to.